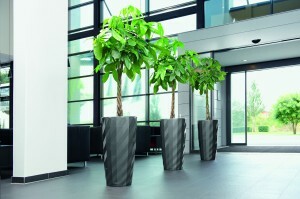 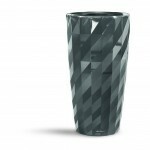 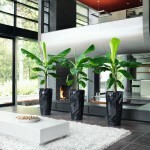 The sleek look and high quality of Lechuza planters make them one of the most popular choices for indoor landscaping. 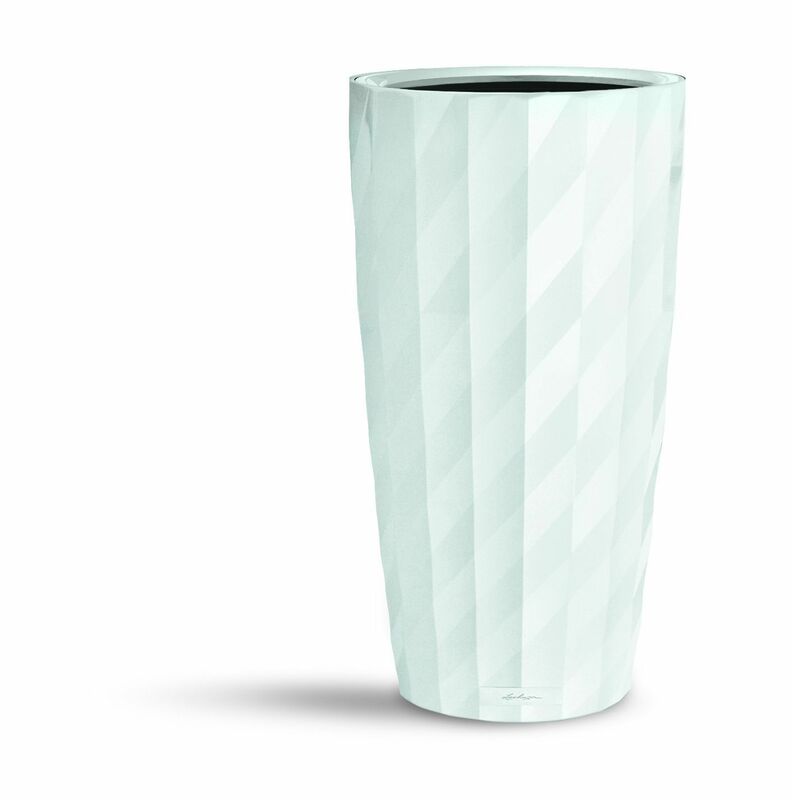 The Lechuza Diamante is no exception. 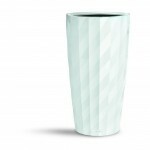 These planters are made with high quality plastic that is lightweight and shatter proof, UV safe and come in 4 different colors to choose from. 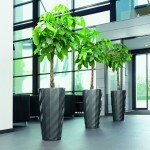 The Lechuza Diamante 40 stands 30 inches tall and has a 16 inch diameter. 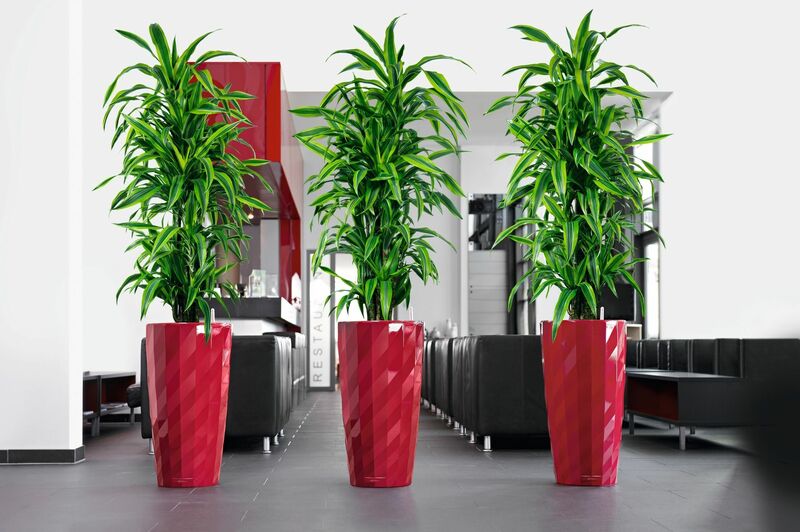 Included is the sub-irrigation system with recessed handle, water reservoir, planting substrate and an easy to read water level indicator. 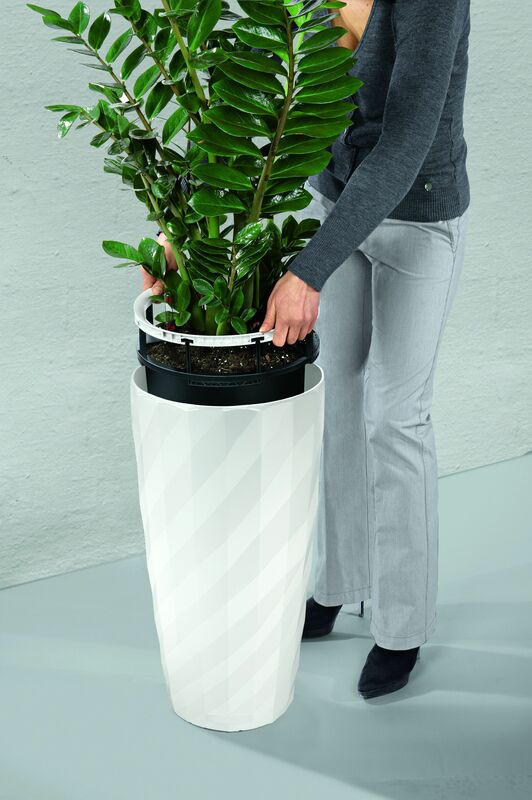 The Lechuza Diamante self-watering system has proved to be one of the best ways to supply your plant with the proper amount of water to promote a healthier plant. 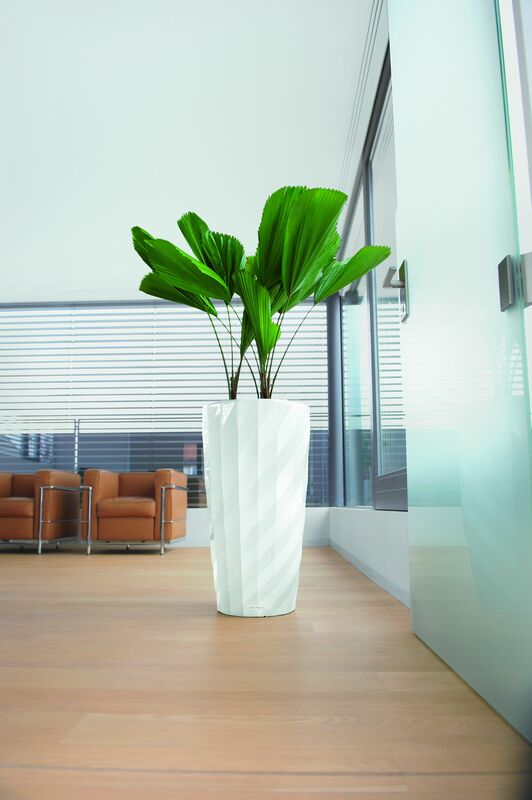 Taking the guess work out of maintaining houseplants, the easy to read water indicator allows you to see when your plant needs to be watered at a glance. 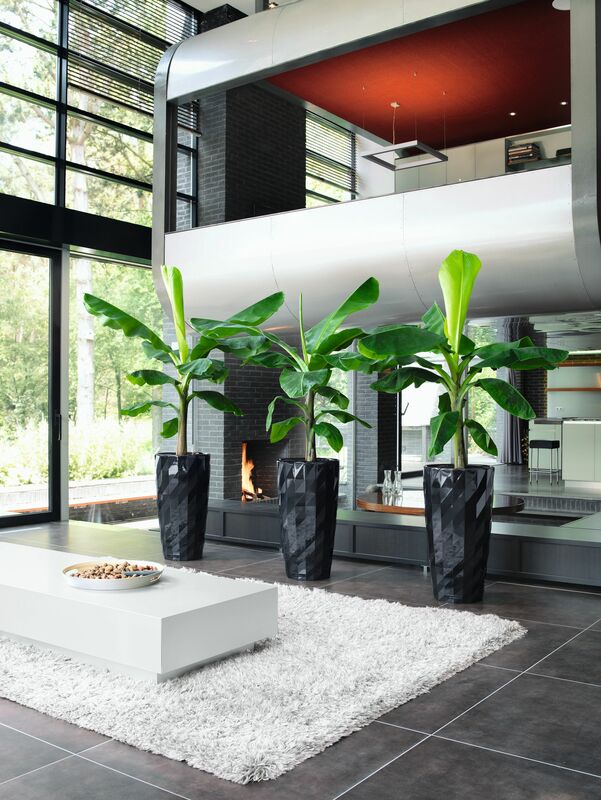 For interior landscape purposes, self watering planters cut labor costs and reduce the amount of replacements. 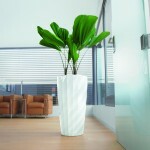 We stock a full inventory of Lechuza planters in all styles and colors. 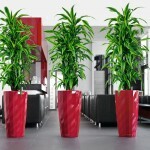 Please contact us today to hear our wholesale pricing on all Lechuza products.